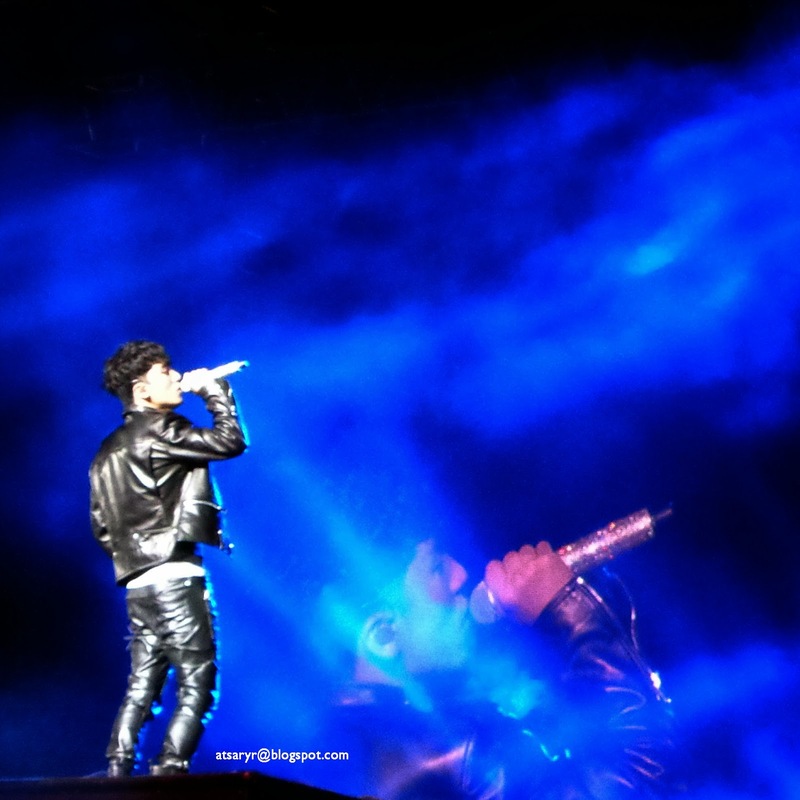 sketsa suara: [travelnotes] my (first) BIGBANG concert. 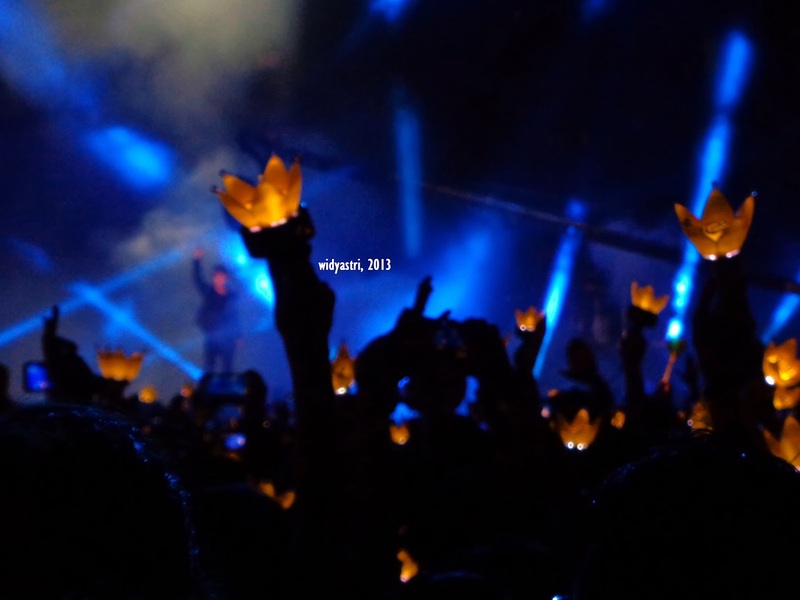 [travelnotes] my (first) BIGBANG concert. ..and why did I include a concert in a travelnote? It's because to me, just like a book, a music could also give you a chance to travel to another world you didn't even know it exists..
From the moment it was confirmed that I got the concert (and the race) ticket, I got really really really excited. I could not believe that watching their concert, even though this one is the mini one, can be a reality in any time, soon. Well, I tried to calm myself down, getting the necessary things done, securing a permission to be off from my office on that very Friday, making sure things would be just okay at home while I'm leaving, and do the packing. Of course, the last one fail. I just did the whole packing things the night right before the flight, which resulted in I didn't get any sleep, at all. Well, partly because I was too excited I couldn't pack things briefly, hence I just finished packing 45 minutes before my taxi came to pick me up --"
...of which when I got there, it was not so that 'yay!' anymore. The queue is really something >.< why did these fans need to wait that early, huh? Huh? Huh??? However, I needed my lunch, considering I only slept for (maybe) only one hour in the plane, or else I would be faint before I could even dance with them *yes, you wish*. So I got a quick grab of lunch, while observing my surroundings and found the VIP everywhere o.o I went into the line at around 12-12.30 and waiting aaaalll the waaaaayy until 15.00 when the gate opened. My big big mistake was that I didn't bring any mineral water with me, while the sun shine way too bright up there. In other words : it's so hot, boy! 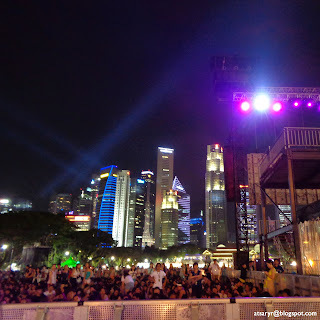 So first thing first after I passed the security check when the gate opened, was not running like crazy to the Padang Stage where the boys will be performing, but finding some water and then walk calmly to the spot. Well, thankfully not all the fangirls (or boys) were that crazy to fill up the venue eight hours before the show. At this case, I think I belong to the crazy ones --"
The stage. In the end, I end up watching the race only through the screens. I didn't think I could handle the noise, yet I also didn't want to loose the chance getting a strategic spot for the concert later that night. 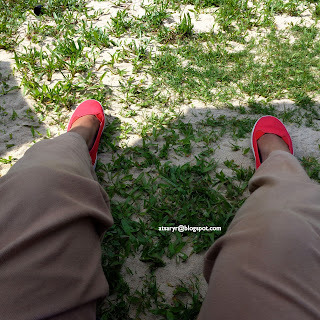 The grass, the sand, the red shoes. And the (very) long wait. The SHOW! The Amazing PERFORMANCE! The LIVELY STAGE! The Five Eagle Boys!!! I remember when I watched G-Dragon's concert in Jakarta last June, I also had similar situation as when I watched this concert. I didn't get any sleep, only got approximately one hour on the travel from Bandung to Jakarta. Well, the story was about to be repeated. Prior the start of the concert, I was really really really tired. And worried, what ifs. What if I was disappointed. What if the show didn't meet my expectation. What if I regretted watching the concert. What if I couldn't enjoy the stage. What if I lost my excitement. Thus I waited in silent, in a deep thought "do I really gonna watching this?". I smiled a little, though, when a video introducing the member was played on screen, which mean the show would start in any moment. And again, suddenly all the anxiety disappear the second the firework started. TONIGHT is a beautiful night! It was started! The boys were out! And I started to jump, singing along, and shouted like any other fan girls (or boys) around me were doing. I suddenly forgot my plan to watch the concert calmly and wholly from the back near the border fence. 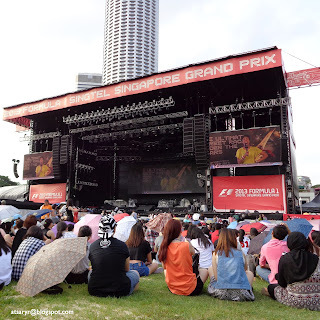 To think again it was a stupid of me to ever plan so since I was sooo close to the stage T___T *latecry* But but buuutt... 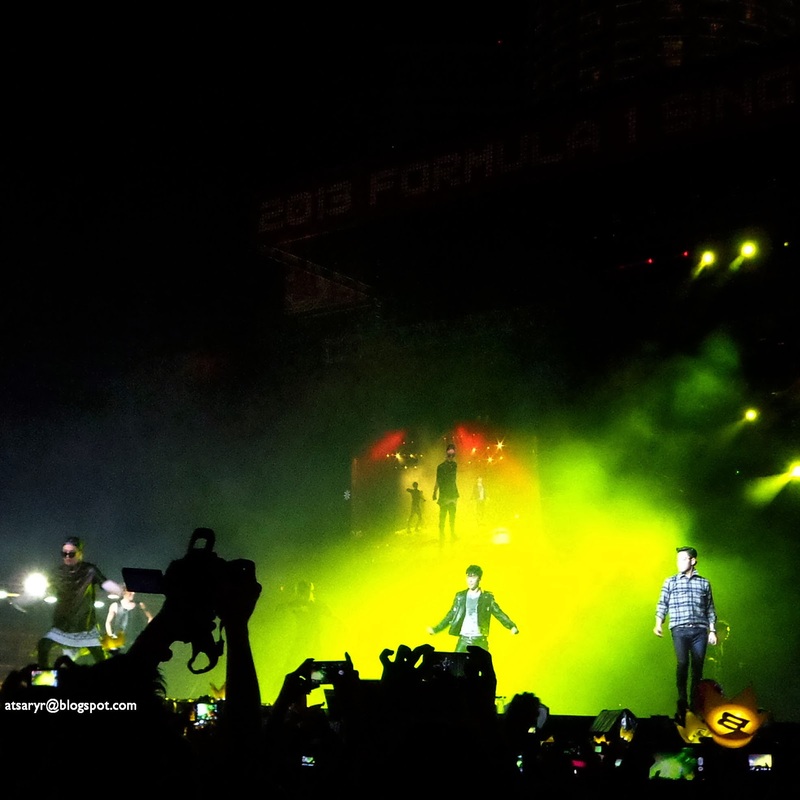 I manage to see the boys, their singing, their dancing, clearly. However, it's certain that my attempt to take pictures of them became an epic fail. The boys were just boys, getting all the hype coming together as five on a stage after a long long long time pursuing their solo acts, just imagine how they would shake the stage --"
Choi Seung Hyun aka T.O.P. The one who all he needed to do was just standing there and do nothing (oh, a very little smile and taking off the sunglasses would be desirable bonus) to make those girls crazily screaming --"
Lee Seung Hyun aka Seungri. Boy, I was spoiled. The list was among my favorites. 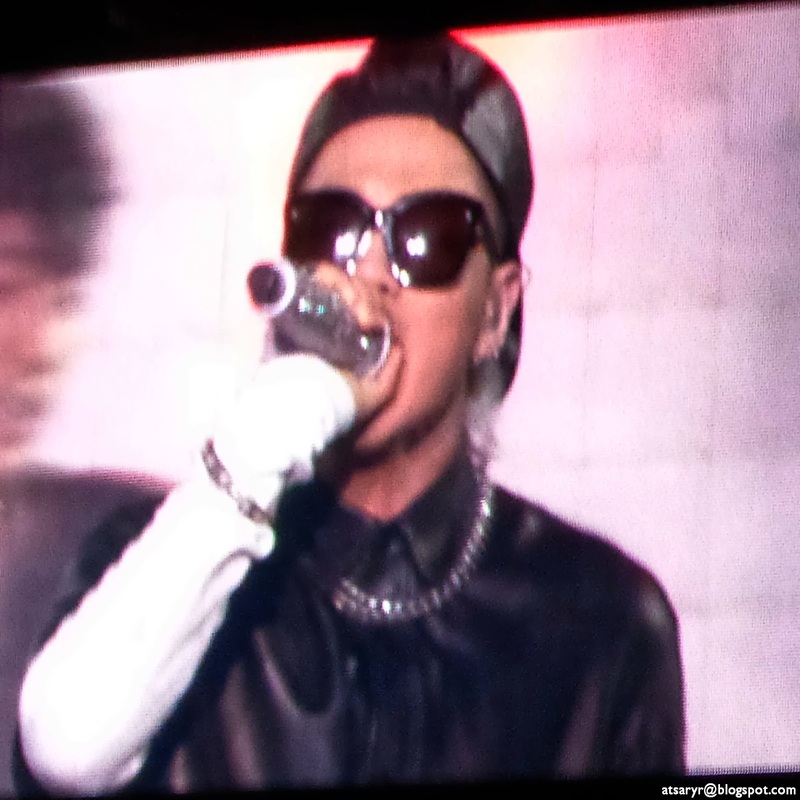 Finally a Fantastic Baby and Bad Boy. Gara Gara Go and Number 1. Crooked. Feeling. LIES. And the one turning point : Stupid Liar. I just loveee the performance too much. But on top of that, I could finally see the five of them come together. Such passion. Such individuality. Such harmony. Such a big bang to life. Oh, I can say no more. This’ just something I’d love to recommend every VIP to experience once in their life. I am indeed a happy happy happy VIP! 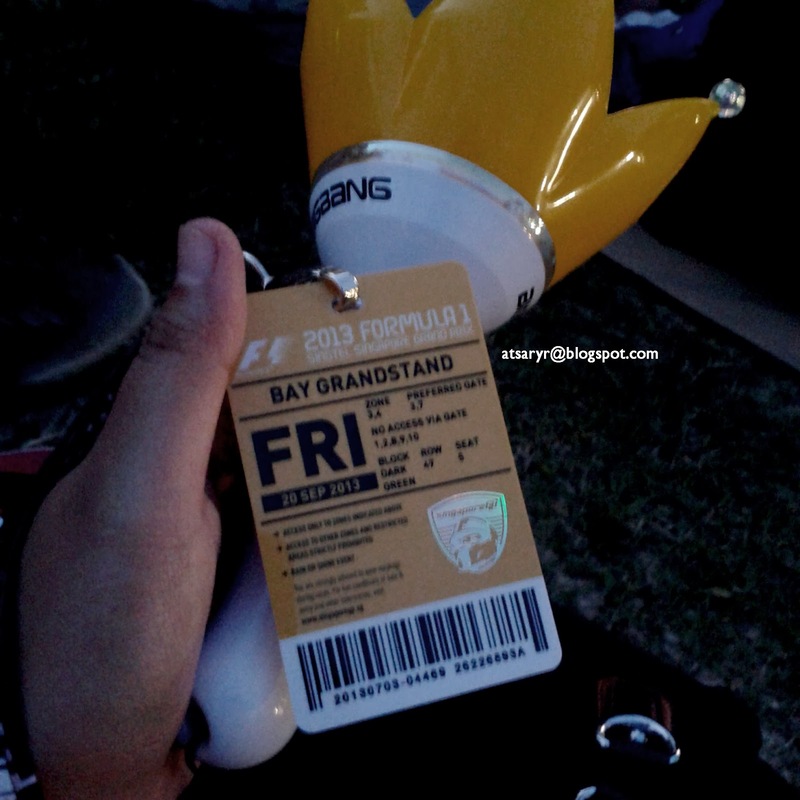 And next : another BIGBANG (not a mini one, for sure) Concert, somewhere, on the VIP rows. Yep, you read them right. Just remember : dreams do come true. For those who dare to make it happen. Ps 2 : did I regret not being able to take any proper pictures of them? Actually I felt bad more for can not manage the temptation to take pictures, and not putting off my camera and enjoy more the party instead o.O Because just as Taeyang said in his newest song, "Ain't no party like Bigbang party, don't stop!" Yes, YB, I'm as much agree. Mba wiid.. hehe. Ruar biasa sabar pisun nunggunya..
[notes] november without a goodbye.